It's Independence Day on the Homestead and we all know what that means, Fireworks! 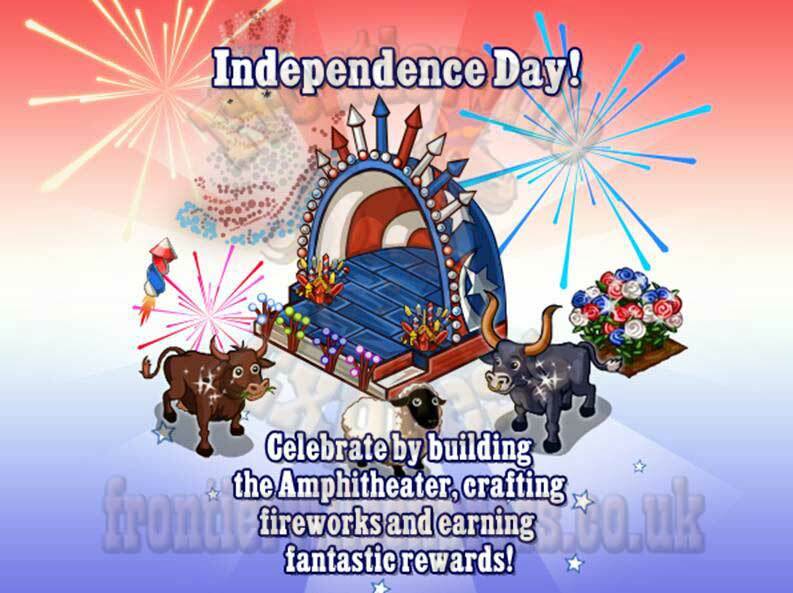 Frontier Sam is back again with more of his things that go bang, whizz, fizz and boom for you to craft and celebrate the red, white and blue of Independence Day. It all starts off with the familiar popup. 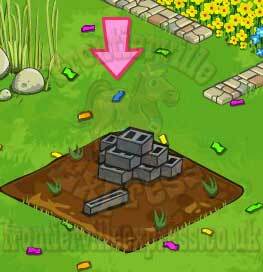 The Amphitheatre will be the focus of one requirement per mission and a crafting area. 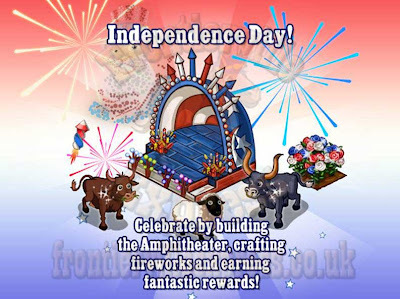 During the missions we'll craft a number of fireworks, all of which have the same base, Rocket Powder. 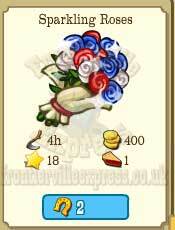 This comes from setting off the fireworks themselves and from a new crop, Sparkling Roses. 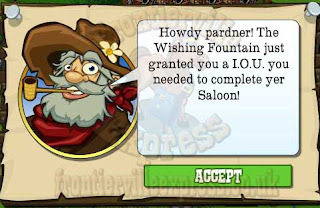 This is a free gift, a mission reward and a HS purchase. 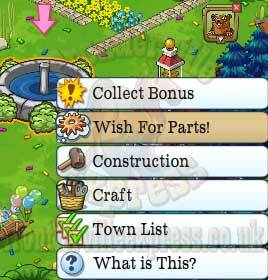 Other mission items also drop from them. They'll also drop part of the crafting needs for the Crazier Cake, originally seen in the Anniversary Missions, which becomes a craftable during this mission! 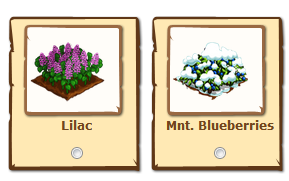 And finally, the collection, which rewards a Firework Feeder, basically an Animal Harvest Boost that feeds everything on your homestead. 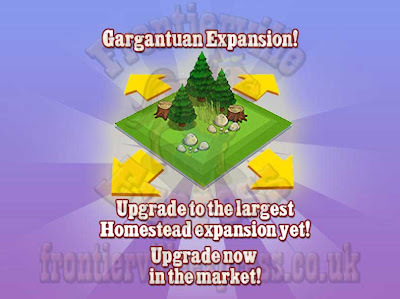 It's time for another expansion, but with good and bad news. 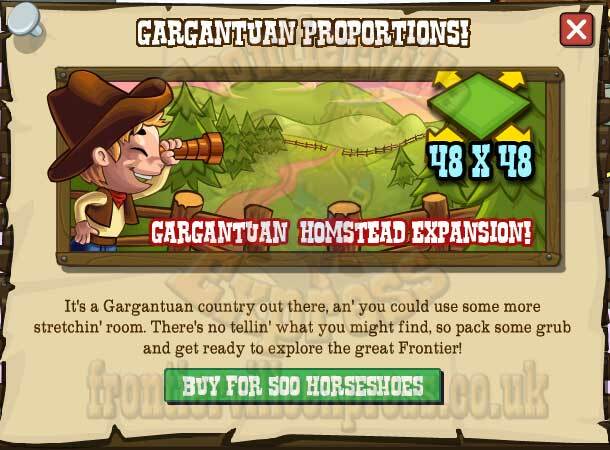 It is another Horseshoe Expansion, but does that also suggest we'll soon see the last one, the 45x45 expansion for missions? There's no news right now but as soon as we know anything, you can be sure you'll hear it here first. 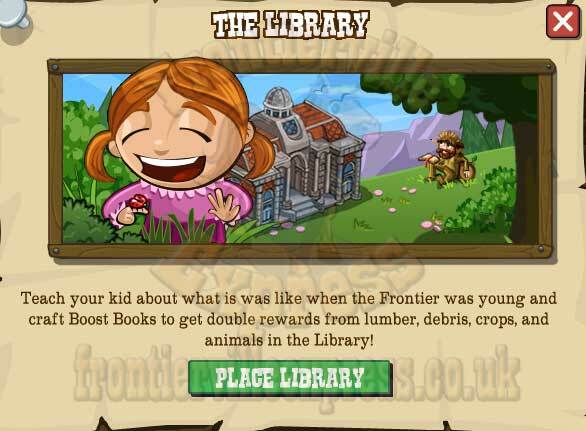 The frontier's a good place for learning and it's time to help things along by build yourselves a library that'll help your kid learn their history and let you read and write some books that makes you better at your homesteading tasks! 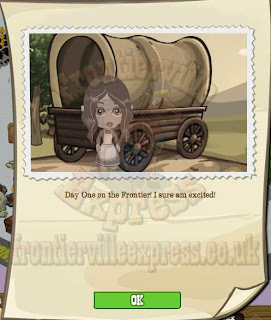 It all kicks off when your child finds an old pic of you on your very first day on the homestead! 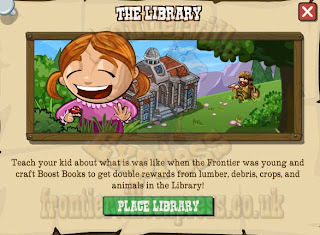 They want to learn more about history so are soon pushing you to build your very own library so they can read more about the Frontier. 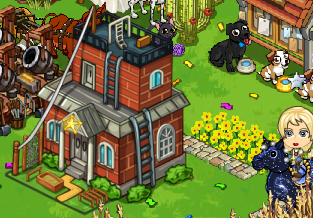 The Library is a four stage building (all details HERE) that comes with a five mission thread (all details HERE). 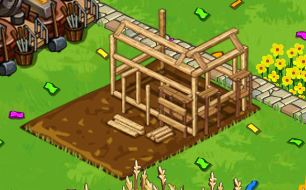 As we build the library we'll be given the chance to craft special books which will all act as a boost for certain homestead actions. 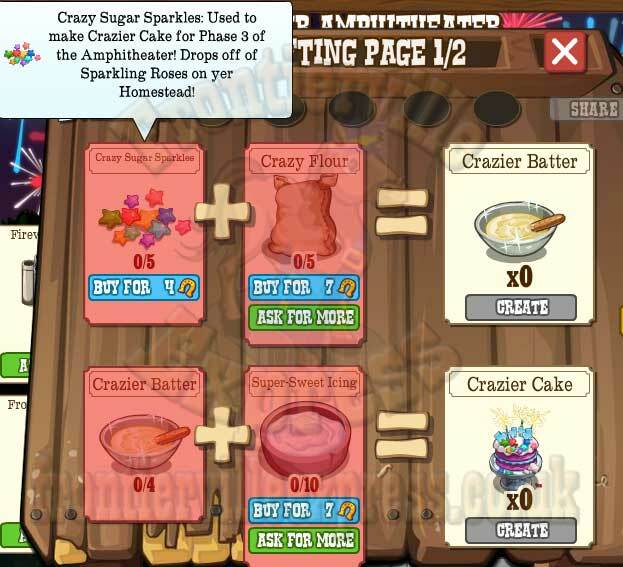 Crafting them (all details HERE) gives a boost of 15 minutes double rewards from trees, animals, debris or crops, depending which book you craft! 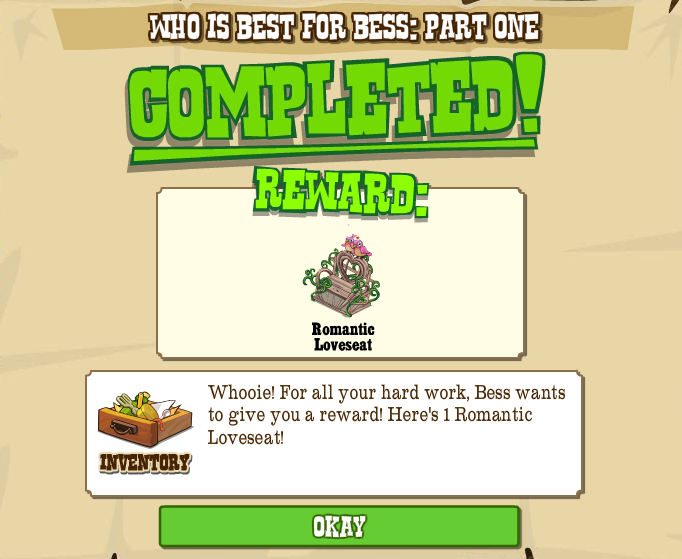 Plus, of course, the obligatory collection, which will give away items that can be used to craft the final book, which gives the double crop rewards. 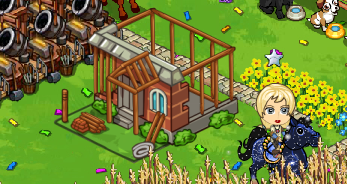 So lets get building and reading! 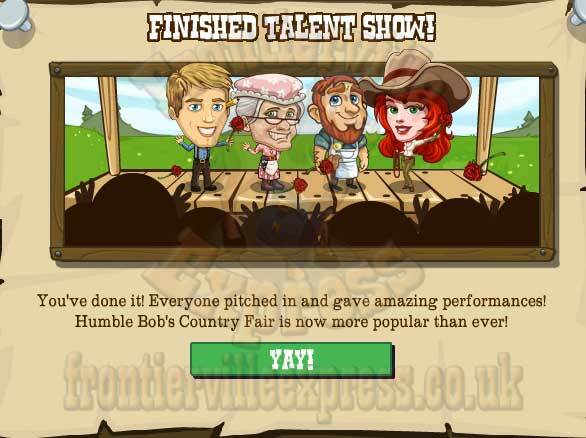 So here comes the work, all the acts need some help getting ready in such a small time and that'll be up to us! 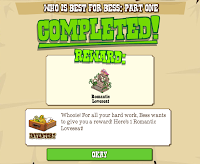 But never fear, There's some pretty nice rewards to be had as we work through the five missions (all details HERE) and four building missions (all details HERE). 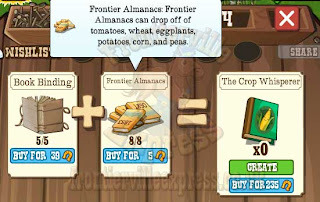 Which will start the whole thing off along with a quick chat between your homesteaders. You'll then see the front corner area of the Homestead where we had the small Family Outing area is now holding the Talent Show stage! 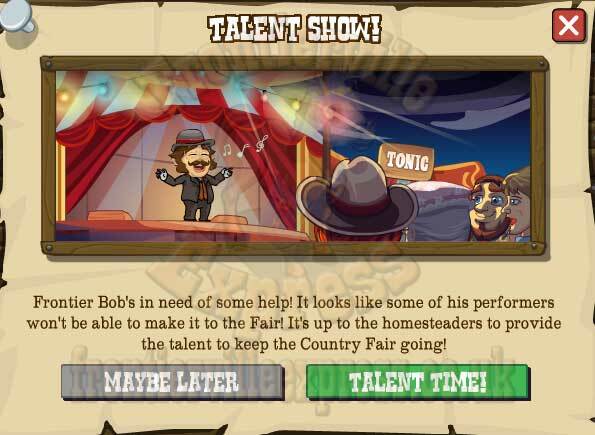 There's no building on the homestead for this one, and each section is about setting up the acts, and the first and last have some interesting items associated with them. 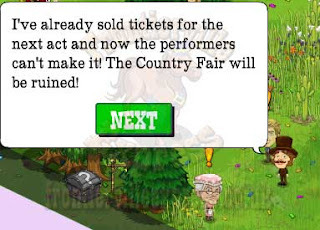 First up is Granny's Bear Taming Set, but here's the kicker, she's missing a bear and Doc in a fur coat just doesn't cut it, so what's a gal to do? Well, build a Bear Lure of course! 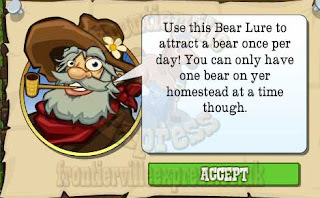 Of course, once Granny has caught her Bear there's no point letting the Lure go to waste... so you'll be able to place it on your homestead and use it once a day to call forth a bear! 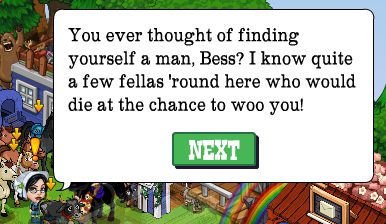 After Amos has done his strong man act and Bess has shown us 42 things she can do with some rope, some leather and some spurs (and yet, she's still single, go figure...) it's then time to help Hank. Hank's big show is his incredibly tough hands (Fanny's a lucky lady) but before he goes on he needs a darn good massage, and in return he'll teach you how to craft a Tough Hands Tonic! 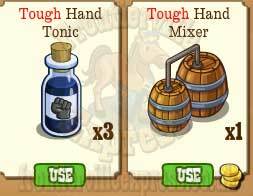 At the end of the mission you'll be rewarded with three of these tonics, and the Tonic Maker to be able to make your own... but what do these do, I hear you say? Well, this is where it get's interesting, for 15 minutes you'll get yourself a funky red glow and... be able to move debris! 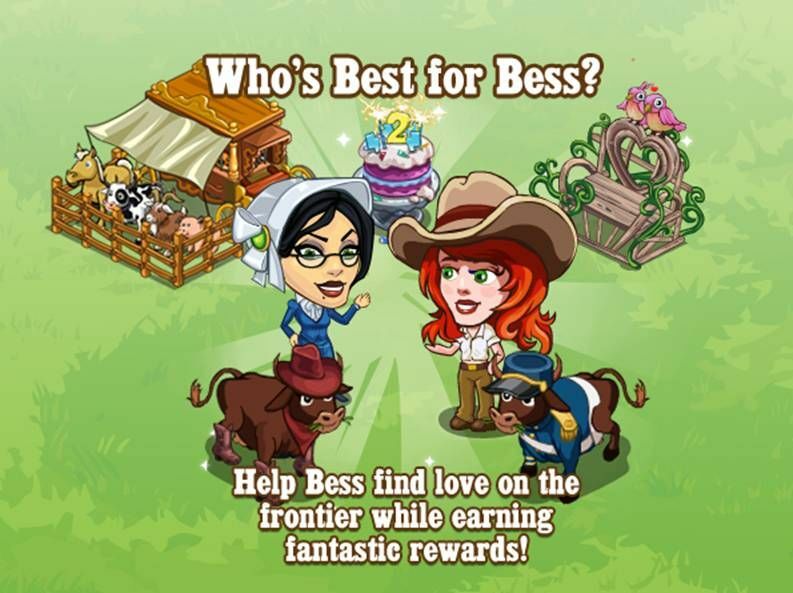 So get helping those homesteaders show off their talents and get some top rewards back! 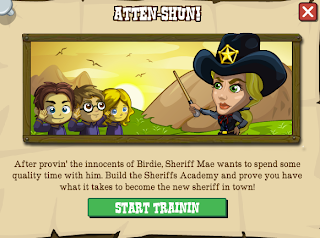 And that will then lead to the even more traditional "build a building for Mae" (seriously, the woman needs a town to herself), this time a Sheriff Academy so you can learn to fight crime! (Or at least have a piece of paper to say you can.) 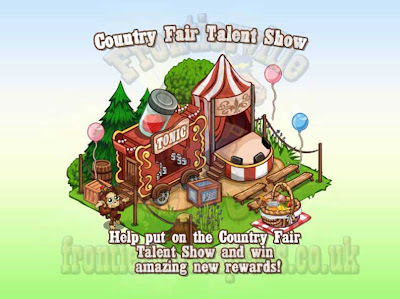 It's a four stage build, all details are HERE. Once done you'l work your way through a series of little homestead crimes until you can be made the Sheriff! So get yer badge on and keep your eye out for meaningless crimes, because without a sheriff where would the homestead be, (more carefree?) and now YOU'RE that Sheriff. With everyone from you to Granny to Mae all attached up on the Homestead, not to mention the eternal troublesome couple of Fanny and Hank, Bess is starting to feel a bit left out and is wondering if she'll ever find herself the perfect man. 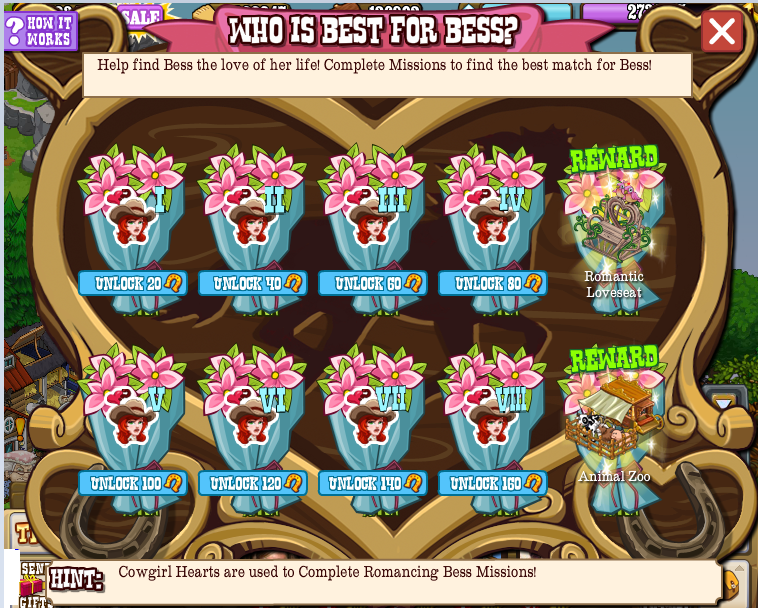 So it's time for us to team up with Fanny, Granny and a bevy of Beefcake for Bess to try before she buys. 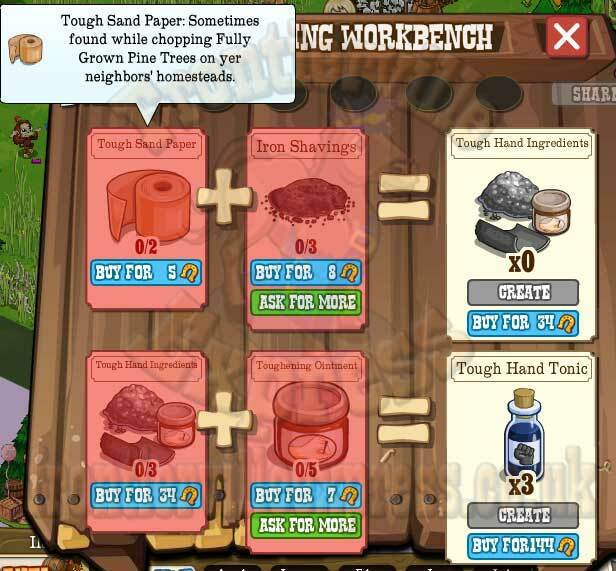 In game terms this means a set of 8 repeatable missions, and 3 overview missions (all details HERE) but no extra build, the missions will appear in the Barn Menu. 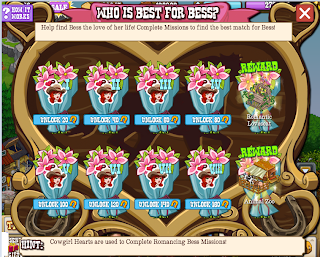 As with previous repeatables there'll be a "collectible" reward each time which adds up for the overview missions along with rewards for completing the first four missions, and the second four missions. 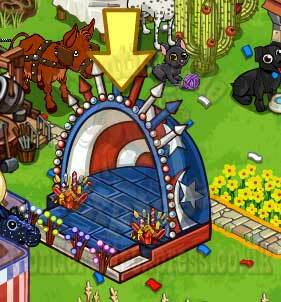 The first is a decoration, the second (the Animal Zoo) is a collectible building with a possible limited edition animal in it's daily bonus! 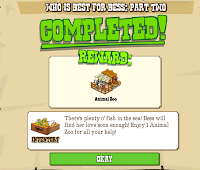 ...and some new animals in the market, which are also mission rewards. 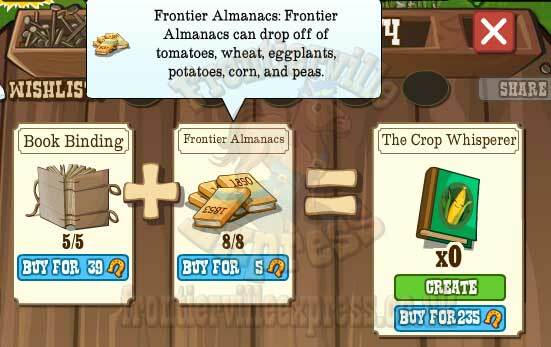 It's finally time to find out the last item Marco and Polo think you'll need to make your homestead worthy of being added to the Frontier Maps. 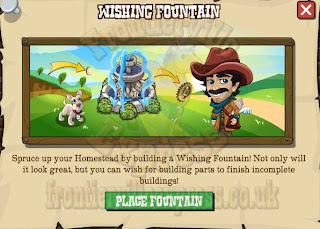 After the Town Hall and the Clocktower this final building is a touch more decorative, a new Wishing Fountain! 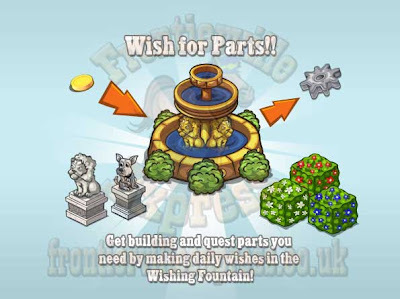 But this certainly isn't just a pretty face, by popping coins into the Wishing Fountain you can get building supplies for unfinished buildings! So, the basics first, starting off the Fountain will kick off a four mission thread (all details HERE) and the three stage build for the Fountain itself (all details HERE). Once stage one is completed you can start wishing. 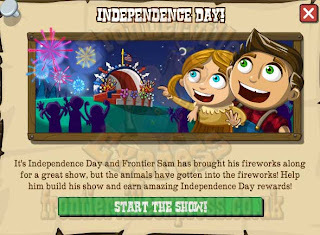 At stage 1 you can wish every two days, stage 2 increases that to every day, and stage 3 allows you to ask every 12 hours. You wish by using a craftable Town Coin, with requires two Brass Sheets which drop from Brass Forges and 2 Coin Presses which can drop from Rail Crates and some daily bonuses. During the missions we'll also be introduced to a new "tree", fresh grass, which is a free gift and can be placed and can then be harvested over and over. 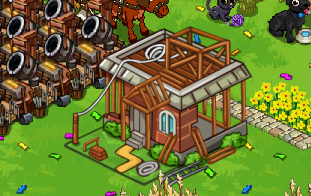 Also most crafted items during the missions become placeable decorations on the homestead. 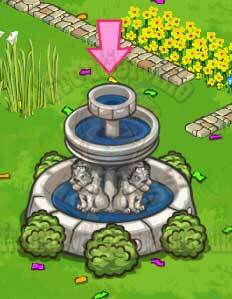 We'll also be seeing two new collections, one for the Grass, one for the Fountain. So get the Fountain down and start planning your wishes.